The extension of the University of Bambey has added another win to its list of awards. After winning first prize in the WAN Awards (Sustainable Building category) and the LEAF Awards (Best Regenerative Impact) and an award in the Spanish Biennale of Architecture and Urbanism, the project’s quality has now received recognition from the Basque-Navarrese Official Architects’ Association. In this edition of their annual awards, the extension was awarded first prize by the Association under the category of Architecture and Extraterritorial Planning. 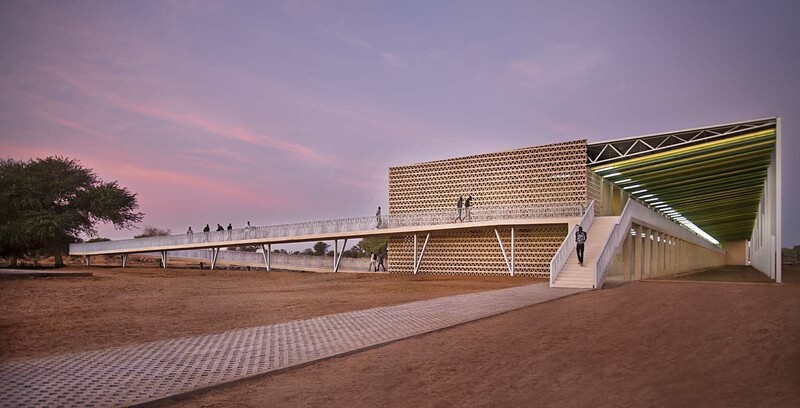 Our extension of the University of Saint Louis, also in Senegal, was finalist.